The most anticipated show of the year. Cup Match Summer Splash 2015 In the City of Hamilton featuring Major Lazer, Morgan Heritage and many more. Hosted by Uzimon. Cup Match Summer Splash 2015 returns with two date’s, outstanding talent and package tickets releasing on May 1st. Package tickets include admission to both shows at extremely good value. 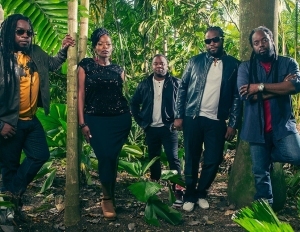 Featuring the Royal Family of Reggae Morgan Heritage and Dancehall legend Barrington Levy with the Detour Posse. Both artists are no strangers to Bermuda and it has been many years since either of them has graced the island with their unique brands of Reggae. Both artists bring their full bands and patrons can look forward to 4 hours of live Reggae Music with the island top DJ’s keeping the vibes flowing all night. VIP tickets include access to exclusive viewing area front of the stage, private tent bar and washrooms, a plate of food, complimentary drink and a bottle of Aquifina water. Individual event tickets will go on sale at the end of May.